Reliable mechanisms aren’t in place for people to report about public service delivery. 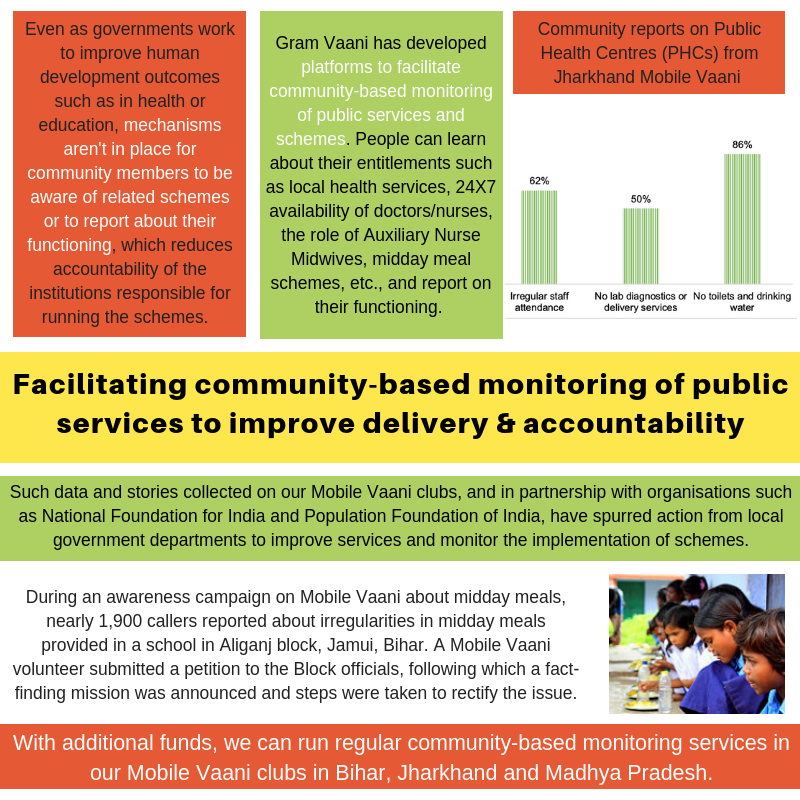 Gram Vaani has developed platforms with organisations such as National Foundation for India and Population Foundation of India to facilitate community-based monitoring of public services and schemes. Data and feedback featured on our platforms have spurred action from local government departments to improve services and monitor implementation. With additional funds, we can run regular community-based monitoring services in our Mobile Vaani clubs in Bihar, Jharkhand and Madhya Pradesh. Please write to us at contact@gramvaani.org/ to know more.